Mr. Robert Dietrich, a founding owner of Abaka Bay Resort, on the 20-square-mile Haitian offshore island of Ile a Vache, is at the center of a fight for the island between its residents and Haiti’s government. This traditionally bucolic island with 20,000 people has been besieged by over 115 militarized police since several peaceful protestors were injured by police on February 25, 2014 at a spontaneous protest against the imprisonment without charge of Jean Matulnes Lamy, one of their leaders. The residents had been demanding the repeal of a government decree of May 2013 that had annulled all property rights retroactively for five years and declared the entire island to be a “zone of tourism development and public utility.” They object to the reconfiguration of the island for tourism without their consultation on the locations to be developed, the terms to be offered to investors, possible returns for their community, and fair compensation for any appropriated lands. In addition to creating work at his resort for Haitians, during and after the construction of his hotel, Robert Dietrich has taken an interest in the community. He was a founder of the Good Samaritan School in Kay Kok, and he has provided material support like food aid and school supplies to the community. 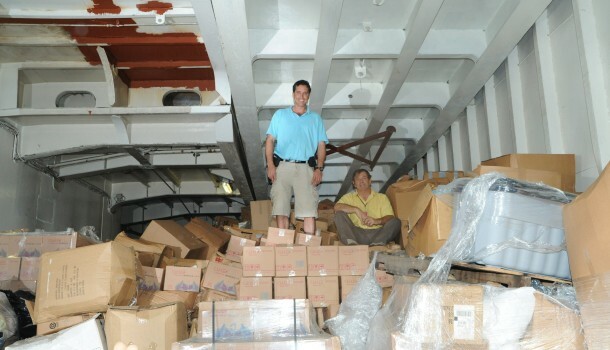 Immediately after the January 2010 earthquake, he used his hotel as a depot from which to distribute supplies of clothes, sanitary kits and food that he had brought from Florida for the earthquakes victims in Port-au-Prince. 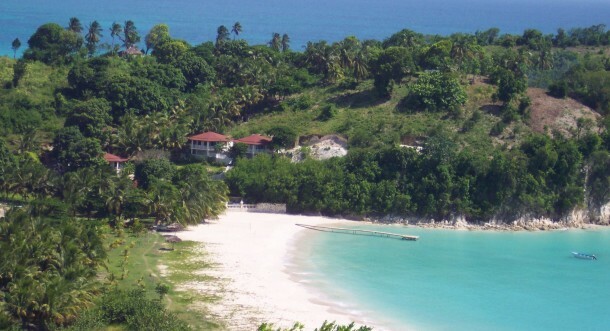 Although the two tourist resorts on Ile a Vache are exempt from the government decree because their ownership goes back at least 10 years, Abaka Bay Resort, which is the most coveted spot on the island because of its world-renowned beach, has directly drawn the interests of Haitian President Michel Martelly and Prime Minister Laurent Lamothe. Indeed, the success of the pristine Abaka Bay Resort might have been what gave Martelly and Lamothe the idea of taking Ile a Vache land for the “state,” in the first place. Dady Chery. Thank you for agreeing to this interview, Mr. Dietrich. 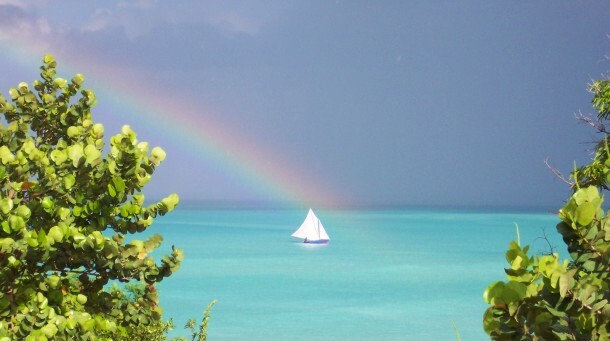 Would you please tell our readers how you came to know Ile a Vache and became interested in living there? Robert Dietrich. I first went to Ile a Vache on my one-year wedding anniversary. We went there with my father-in-law and mother-in-law Fernand and Dinah Sajous, who brought us to Port Morgan. One of the excursions from Port Morgan was to a beach called Anse Dufour. As we rounded the point, I fell in love with the beach. I had never seen such a beautiful beach, tucked away like a time capsule,… untouched and secluded from the world. My father asked me if I would like to buy a piece of property. DC. In 2013, the bay was ranked the world’s 57th best beach, and your hotel at Abaka Bay has become internationally known. Tell us, Mr. Dietrich, how you brought your business to this level. Did you have to buy property from islanders on Abaka Bay when you built there? RD. Yes. We negotiated with the land owners and bought, piece by piece, what we currently own. Mr. Sony Placide was our land owner on behalf of his father, Feher Placide, a very kind family that has been on the island for years. We started out, with me taking out as-needed credit card advances, and we built six rooms and opened on November 1, 2004. We began the ground breaking in January of 2002, so for two-and-a-half years we humbly invested our resources. The level we have reached could have never been predicted. Dedication and concern for the community, I believe, are the key that opened the door to success in the business. Hard work, sacrifice and meeting the needs of the workers as best as we could. DC. Do you feel that you’re fully part of the Ile a Vache community? What is your relationship with the native islanders? RD. Yes, very much! They all know me. We worked together to create what we have and I respect them as they respect me. I love the people and they love me. Like I said: our relationship is one of mutual respect. 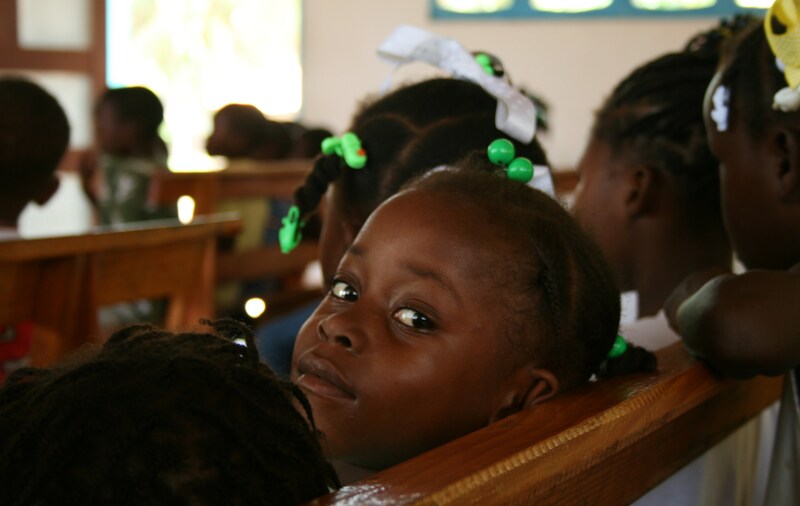 I have put my heart, mind, and soul into what it took to learn about Haitians and their culture, and of course I am still learning. I have become humbled as I watch how hard it is to survive with what limited resources each family has. Ile a Vache lacks medical services, education, clean water, and so many things I took for granted before I came to know Haiti. Yet the happiness I see in people’s eyes, and the laughter they can exhume through all trials and hardships is amazing. I have been astonished at the determination they possess, it has transformed me, and I am grateful to them for this. 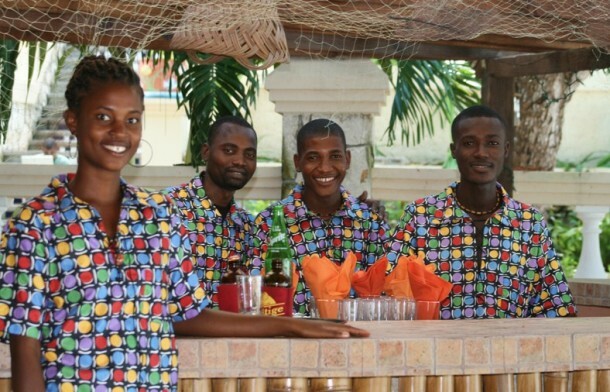 Haitians are skillful, resilient, hard-working, motivated and kind people. DC. 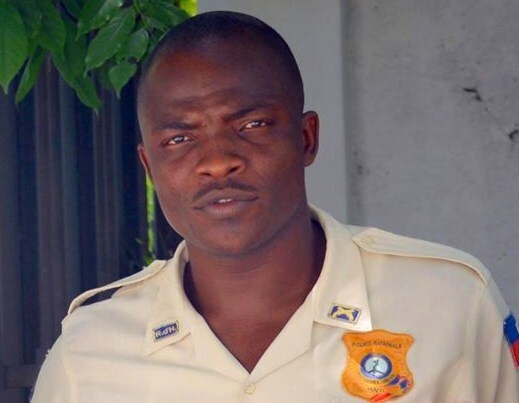 Haiti Observateur has reported that Abaka Bay has caught the attention of the Martelly-Lamothe government, and that there is a move afoot to take away the property from you and other coastal lands from Ile a Vache residents. Would you elaborate on this? RD. 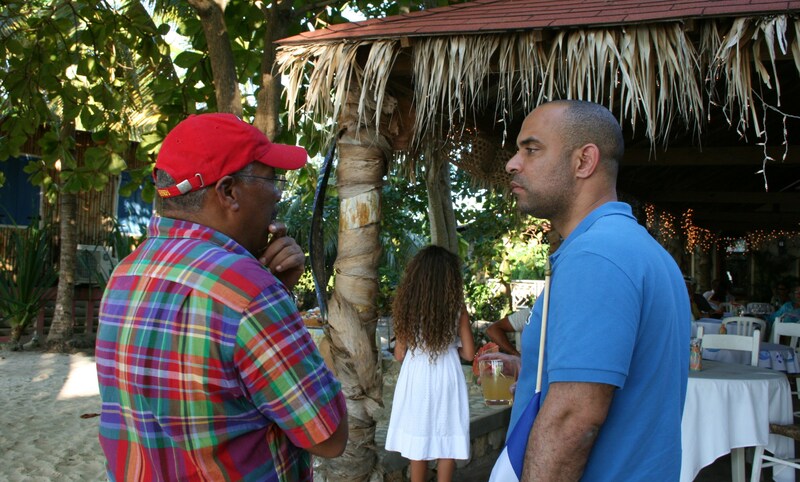 Facts: In May 2011 my ex father-in-law, Fernand Sajous, gets a call from Mr. Martelly inquiring about buying into Abaka Bay Resort S.A.; he wants 51 percent for $1 million. My ex father in-law calls and gives me the news, and I say no way. I write up a counter proposal to sell up to 49 percent so that we never lose control. A power of attorney is drafted by Gary Lissade personally, as he and Fernand Sajous are good friends, and he originally set up the corporation Abaka Bay Resort S.A in 2004. Until May of 2011, I had seen Gary Lissade only once, during the construction of the resort… and now he wanted to negotiate a deal for me? The POA was drafted and signed by my ex-wife Melissa Dietrich, who owned 25 percent of the corporation, and I owned 25 percent and signed also. Fernand Sajous owns 25 percent and his wife Dinah Sajous, who owns 25 percent, were suppose to sign. I will never know, as I never got a counter offer after I submitted my counter offer. My offer was a minimum of $80,000 per share and maximum of $100,000 per share. So if they decided to buy 49 percent, they would have had to pay between $3.0 to $4.9 million. From what I understand, the negotiations broke down and were dropped by the other party. 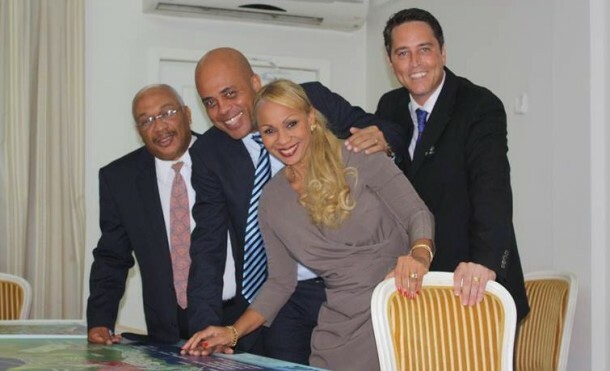 Four months go by, and then we get an invitation by the President to meet Laurent Lamothe, the Minister of Foreign Affairs at the time, to come to Miami and discuss a potential opportunity to manage a build-out [development] project of Ile a Vache. We meet in October 2011 at Global Voice in Miami. By then I had discussed a tentative agreement with a team of professionals (Ritz Carlton architects) to administer the “Ile a Vache Project” from start to finish and asked the team’s manager to join me so he could introduce the companies that would be involved if we came to an agreement. I’ll just say this: Laurent Lamothe’s words were “The Government of Haiti will support you in all areas of the project.” I must stop at this point, though, because I don’t know what legal actions might be on the horizon. DC. As a businessman and Ile a Vache resident, what do you think of the government decree to turn the island into an area for tourism development and public utility? The Decree of state utility can only be enforced if the people and land owners allow it and agree to it. Any law is just a law on paper if it is not enforced. A democracy is run by the people for the benefit of the people: not one individual or one small group. A win-win is when all stakeholders involved benefit. The population of Ile a vache is the largest stakeholder, as they are grandfathered into their ancestral lands by their forefathers. Haiti is known for issues with land titles, but if Mr. Martelly or Mr. Lamothe were put in the shoes of the population of Ile a Vache and did not have the resources to hire an attorney, then they too would not be at the mercy of anyone with resources to evict them. DC. Did the Martelly-Lamothe administration discuss the development project and its details, such as the terms for the investors and potential benefits for residents, in any public forum? RD. Not that I am aware of. I can tell you that, in November 2011, I presented to then-Minister of Foreign Affairs Laurent Lamothe, Petra Nemcova, and then-Minister of the Interior Terry Mayard-Paul the “Ile a Vache Project,” from my perpective, and I flew in all my associates including: Ritz Carlton architects, a three-billion-dollar medical management company, and others in addition to my team. I signed contracts and $105,000 worth of renderings, for which I sold all I had in my account: my daughters’ education IRAs, my retirement account IRA, and a bunch of gold Kugerands I’d saved. All because I believed, not in the government, but in the project. I thought that, if done transparently, we would have a win-win, and the Haitian people, bottom up, would be a major stakeholder. I even have a letter of interest. DC. Can you tell us about the protests against the decree, which is perceived by many as being an illegal land grab by the state? RD. I can only tell you what I see: Ile a Vache had two policeman and one of the two is in prison now for protesting peacefully. Mr. Matulnes Lamy was put into the Port-a-Prince penitentiary for holding on to his beliefs and trying to have a peaceful dialogue. DC. What is the current situation on Ile a Vache? There are reports that Haitians are being blocked from traveling to and from the island. Is this accurate? RD. I had Haiti-Liberte call me to say that the Haitian government is paying off the small taxi-boats not to allow reporters on the island. I know the citizens that used to walk freely are now not able to do it without fear in their hearts. I know I heard about school classes being interrupted by police looking for “bandits,” as they call them. DC. 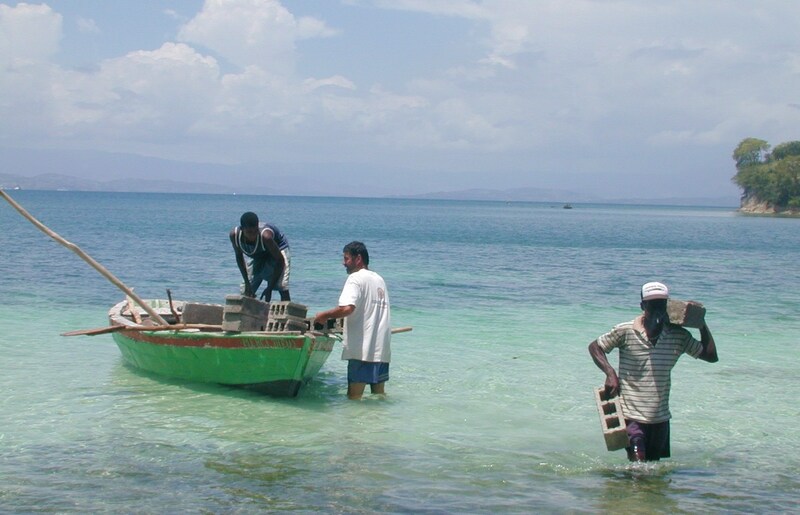 What do you think would be a solution that would not scare off investors and discredit tourism in Haiti and yet preserve the livelihood of Ile a Vache’s farmer-fishermen and ecosystem? RD. Investors? 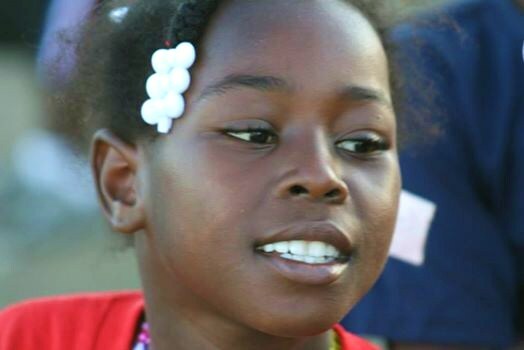 I invested 10 years of my life in Haiti. I invested what I worked for all my life. No one is scared, especially not me. 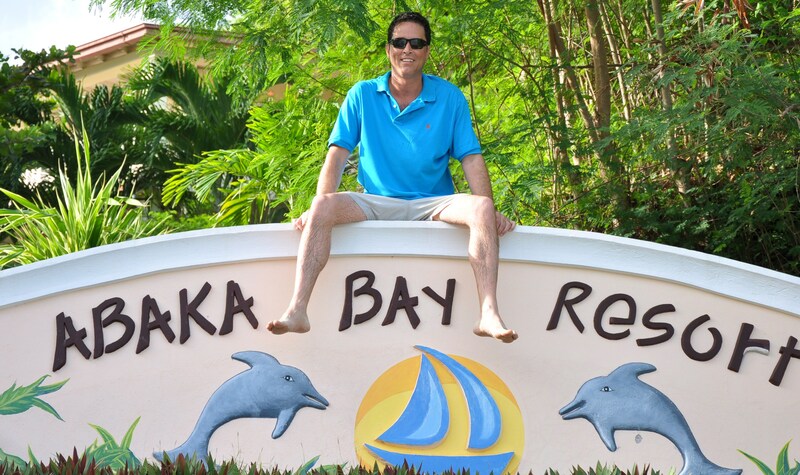 I invested in and financed the building of the Abaka Bay Resort myself. I owned a valet-parking company with good profits in Detroit and Philadelphia. I Invested every dime into the infrastructure, six boats, and five generators. I did it because it was the right thing to do for the people. You see, I use money to build communities based on the model: People Before Profit. I never took one penny of profit but instead reinvested it all. I’m a social worker, you see. Money does not motivate me. People motivate me. DC. 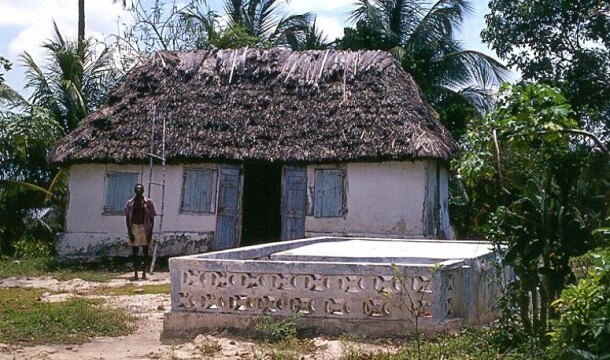 At the end of 2011, were you pressured to leave Ile a Vache? Who is running the resort now and who owns it? No one pressured me to leave. I walked away. My in-laws own 50 percent. 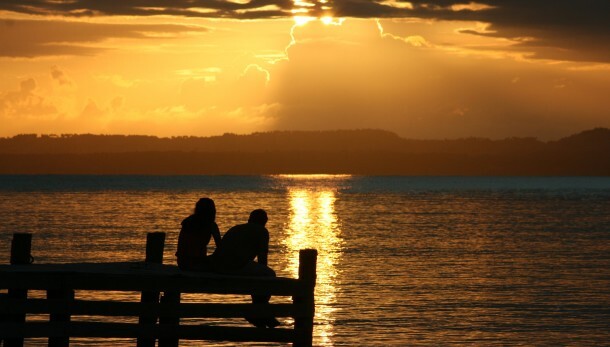 My wife and I owned 50 percent, but in our divorce trial in 2013, she said we both own nothing. My lawyer Ludwig Leblanc found an article in Le Nouvelliste, publicizing the sale of 24 percent (or 24 shares) from Melissa Dietrich to her father Fernand Sajous. Now I must go to the Haitian or international courts to begin to litigate this. Gary Lissade and Salim Succar are both the Presidents’ lawyers and my ex-father in law Fernand Sajous’ lawyers; they have been intimate in my dealings until I would not agree to what the President demanded. 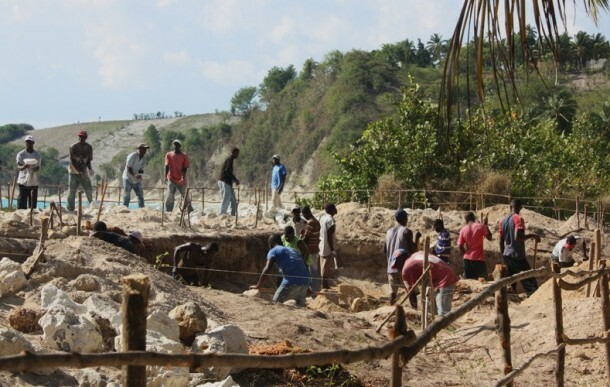 President Martelly demanded a 40 percent stake holding from the Ile a Vache build-out profit potential. The build out potential was estimated at $100 million annually: meaning $40 million annually to ONE man! I walked away. I’m not selling my soul. It is not for sale at any profit level. DC. Thank you very much for your time, Robert Dietrich. In the video below, Hugues Girard relates, in Kreyòl, the interview with Robert Dietrich. Dietrich describes what happened to him on Ile a Vache with the Martelly-Lamothe administration. He describes moves to grab his resort business and expel him from it, and how Haiti’s government does business. He also talks about the latest on the island. For Parts 2 and 3, follow the links at the right on YouTube. Nan video sa w, Hugues Girard ap rakonte oun diskisyon ki te fèt ak Robè Ditrik, ki te bati lotèl Abakabe sou Ilavach lan. Ditrik di sak te rive l sou Ilavach avèk administrasyon Mateli-Lamot. Li di ki jan yo te vin pou bapyanp zafè lotel li e retire li ladan l, e l eksplike kijan gouvenman Ayiti an fè biznis. Li pale tou de sa kap pase kounye an sou zil la. Pou pati 2 ak 3, gade a dwat nan YouTube la. Editor’s Notes: All photographs, courtesy of Robert Dietrich. Video, courtesy of Hugues Girard.